G.P. Putnam's Sons Books for Young Readers, 9781524737122, 32pp. Everyone needs hugs, even if they're prickly. 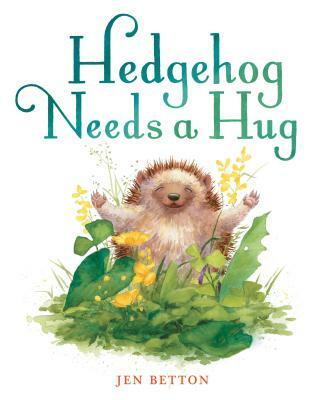 When Hedgehog wakes up feeling down in the snout and droopy in the prickles, he knows a hug will make him feel much better. But none of his animal friends are eager to wrap their arms around Hedgehog's prickles, and he's too smart to fall for Fox's sly offer. Then Hedgehog gets a surprise: Another animal in the forest is feeling exactly the same way. Luckily, both are kind and brave enough for the perfect hug. Jen Betton received her BFA in Painting from the University of Central Florida, and her MFA in Illustration from Syracuse University. Her awards include third place for Children's Market in the Society of Illustrators Los Angeles in 2010, the portfolio grand prize at New England's SCBWI conference in 2014, and a SCBWI national mentorship award in 2012. Jen loves working in watercolor, solving visual problems, and seeing a story come to life. This is her second picture book.